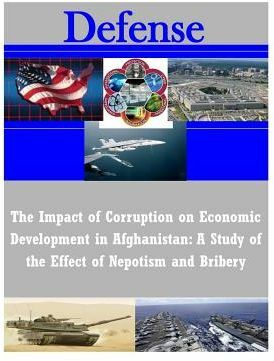 This book addresses the economic costs associated with corruption in Afghanistan. Accountability of government spending and growing emphasis on anti-corruption in Afghanistan justify this study. The goal is to recommend a course of action to responsibly and systematically reduce corruption and increase confidence in the government of Afghanistan. The study examines both beneficial and detrimental effects of corruption using theory, as well as empirical analyses of corruption on transnational countries facing similar levels of perceived corruption and economic development levels. Evaluation of factors associated with economic growth and corruption levels from 2005 to 2010 determine which corruption theories apply best to Afghanistan. The results indicate that increased corruption levels have resulted in a decline of gross domestic product of some 87 percent from 2005 to 2010. Afghanistan also experienced an increase in the level of corruption and inflation in this period.